Priorities, priorities. We all have them- but often times the way we order our lives doesn't match what we would declare our priorities to be. Tonight, take a look at your schedule. Consider how you are spending your days, and decide- am I spending myself on what matters most to me? When pressed, I would say that my priorities are knowing, loving, and serving Christ, my husband, and my children. My home is a priority because as I care for it properly, it better serves my family and others. As a family we are committed to our local church body. I enjoy connecting with and encouraging other moms. Also, I like to spend time in my little online space here. Family before blog has come into play recently as we've been battling a super nasty virus for the last week. While I'd love to post more, social media more, and connect more, I've been holding sick babies, trying to catch up on lost sleep from oft interrupted nights, and just keeping my head above water. Now the bug has hit me, so I'm laying extra low. Because I'm a yes woman, I have a really hard time saying no to others. I tend to say yes to everything, and come up with wonderful project ideas...sometimes at the expense of my best things. I'm so thankful my husband is a solid voice of sanity in my life! He is quick to point it out when I'm overly optimistic, and to encourage me to say no to plenty so that I can say yes only to the best. What are your most important priorities in your current life season? Does the way you spend your time reflect them? Do you have a voice of sanity to help you discern when to say yes and when to say no? 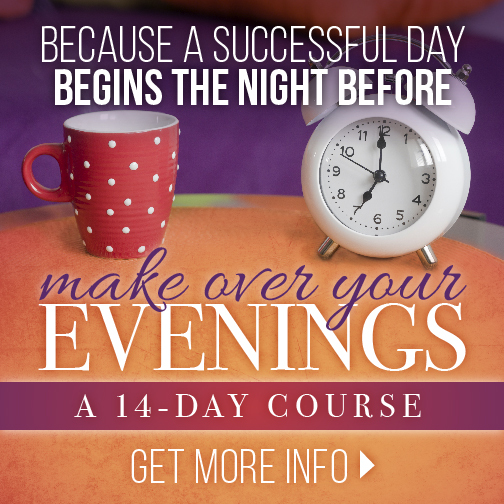 I'd love to hear what you're learning as we finish up this course!